My name is Michael Shamberg; I run M.S. Construction and Remodeling on Cape Cod, Massachusetts. When the time comes to remodel your house or do those needed repairs, it would be great if you thought about me for those projects. I bring over twenty years of construction experience and technical knowledge to the job site every day. 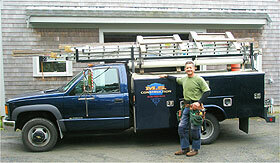 In case you didn't know M. S. Construction is starting its twenty-third year in business on Cape Cod! M.S. 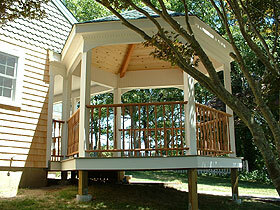 Construction is a remodeling business that specializes in exterior home improvement projects. I offer quality work and dependable service at competitive prices. I am fully licensed by the Commonwealth of Massachusetts. I maintain contractor's liability and workmen's compensation insurance policies to protect you and your home during any remodeling project. I also would like to take this opportunity to let you know that I have the ability to do a wide range of construction and remodeling projects. In addition, not only do I measure and estimate the job, I actually do the job. My areas of expertise includes but is not limited to the installation and replacement of various kinds of windows and doors including; wood, steel and fiberglass entrance doors; patio sliding and swinging doors; metal bulkhead doors; wood and vinyl replacement windows; sash and balance replacements; skylight and bay window installations; asphalt roofing, white cedar siding, pressure treated decks, general carpentry and construction. Currently, I am scheduling new projects and would like to include your remodeling job. If you are not planning a project, but may know of someone that would appreciate the type of skill and work ethic that I possess, please forward to them my business card, email address or web site address. Thank you for your confidence and goodwill.